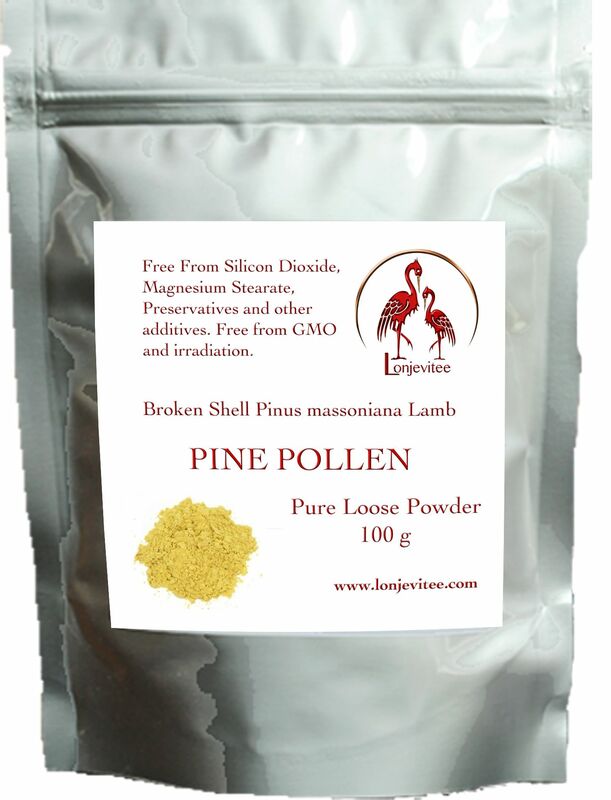 Pine Pollen (Pinus massoniana Lamb) Broken Shell Pure Loose Powder 100 g with no additives or bulking agents guaranteed. Packed in a pouch or a tub. Suitable for Vegetarians and Vegans. Serving suggestion: One teaspoon once or twice a day dissolved into a glass of water, or add to a smoothie. Store in a cool and dry place out of reach and sight of children.